Welcome to Crimond Medical Centre. We are a small busy, friendly and rural practice in North Aberdeenshire between the larger towns of Fraserburgh and Peterhead. We service the villages of Crimond, St Fergus, Inverallochy, St Combs, Cairnbulg, Longside, Lonmay, Fetterangus, Memsie and Rathen. Due to our rural location we offer a diverse range of services from Minor Injuries through to Botox, and have many secondary care services also running from our practice including – Physiotherapy, Chiropody, Dietician, Mental Health, Ante-natal and Retinal Screening. It is very hard to establish exactly when a medical practice was founded in Crimond and surrounding area. It is however known that a small Fever Hospital opened in Crimond on the 6th December 1865. It was funded by the local landowner, Sir Alexander Bannerman, and its first Medical Superintendent was the local doctor, Dr William Bruce. The original medical practice in Crimond was located at Logie Lodge for almost the whole of the 20th century, at least. Logie Lodge was an old coaching inn and still stands to the west of Crimond village on the main Fraserburgh to Peterhead road. It only gave up its role in 1980 when a new purpose built surgery was built within the village, and this allowed an expansion of facilities and services to the population, as well as more privacy and greater access. Crimond Medical practice had always been a dispensing practice until April 2011 when the current doctors went into partnership with a Peterhead Pharmacist to open a Community Pharmacy in the grounds of the existing surgery. The practice offers a full range of general medical services, supported by a competent and dedicated team of nursing and administrative staff. In addition we deliver asthma/COPD clinics, diabetic clinics, CHD clinics, minor surgery services and minor injury/casualty services to our patients. Our nurses also offer travel vaccines and manage anticoagulated patients with the help of “Rat “software. The practice provides accommodation and admin support to baby clinics and child immunisation clinics in addition to a locally based Physiotherapy service, a Dietetic clinic, an antenatal clinic, the Drug Misuse service, retinal photography and a local counselling service. One of our partners offers treatment with acupuncture and homeopathy, and another partner offers Botox and Filler treatment on a private basis. The practice is also involved with teaching and we have final year Medical Students on seven week attachments twice a year, along with FY2 doctors on four month attachments. The practice also provides Industrial Medical support to a local engineering firm in Peterhead and both partners are qualified to do “Offshore Medicals”. The surgery is open from 0800 to 1800, Monday to Friday. Calls out with these hours are managed by G-Meds (the out of hour’s service in Grampian). Therefore no out of hours work is required, but we do provide one and a half hours per week of extended surgery time. This runs from 1800 to 1930 hours once a week on a rolling rota on nights to suit individual doctors. We are privileged to live in rural Aberdeenshire. It is recognised to be one of the best areas in the UK to live and work in. We have very supportive patients who continue to treat us with great respect, and frequently contribute to the practice Equipment Fund which has existed since 1980 and purchased major equipment for the use of the surgery and its patients. Crimond is a small village situated half way between the two fishing ports of Fraserburgh and Peterhead. Our patients traditionally were either fishermen or farmers but this is no longer the case with the oil industry playing a larger role in the economy and many people now may live locally but work offshore or even abroad. The St Fergus plant is only five miles away and is another major local employer. Crimond has a very good primary school and there are three good secondary schools at Fraserburgh, Peterhead or Mintlaw. The area has fantastic beaches, some great golf courses and many opportunities for leisure activities. Aberdeen city is 40 miles away on good roads with many more cultural and leisure facilities and we are within easy reach of the Grampian Mountains for walking and skiing. NHS GRAMPIAN services half-million people who live in Grampian and are overseen by one single NHS Board. The Board is supported from headquarters at Summerfield House in Aberdeen. Senior managers for the functions which cover the whole of Grampian are based here, including financial overview, corporate planning, and central responsibility for protection and promotion of public health. NHS Grampian consists of acute services, corporate services and three Community Health Partnerships and works closely with the local authorities. NHS Grampian is also very closely linked with both the University of Aberdeen and The Robert Gordon University, especially in the fields of research, workforce planning and training. The new Grampian NHS Board came into operation in 1 April 2004, following the dissolution of Grampian's two NHS Trusts and the creation of the one organisation - NHS Grampian. The single Grampian NHS Board is responsible for improving the health of the Grampian population, and for delivering the health care required. The Board must oversee the taking-forward of Scotland's national health agenda, tailored to the needs of the Grampian population of half-a-million people spread over 3,000 square miles of city, town, village and rural communities. In November 2017 Crimond Medical Centre moved to its new home at the Crimond Medical & Community Hub. 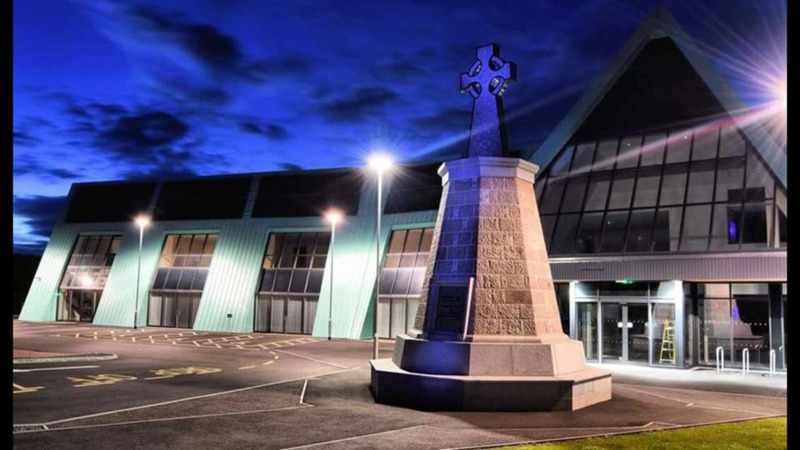 A wonderful purpose built state of the art facility that was the brainchild of the late Mr Charles Ritchie of Score Group PLC in Peterhead. This outstanding facility holds many functions as can be found on the website - http://www.crimondhub.co.uk/. As you can see from the picture below, the new building is going to be quite the local icon!